Ever since I discovered the easiest homemade bread ever, we have been having a lot of homemade bread. What better to go with homemade bread than butter? Homemade butter to be exact. This started out as one of the projects my kids and I did to show them the different things milk can become. 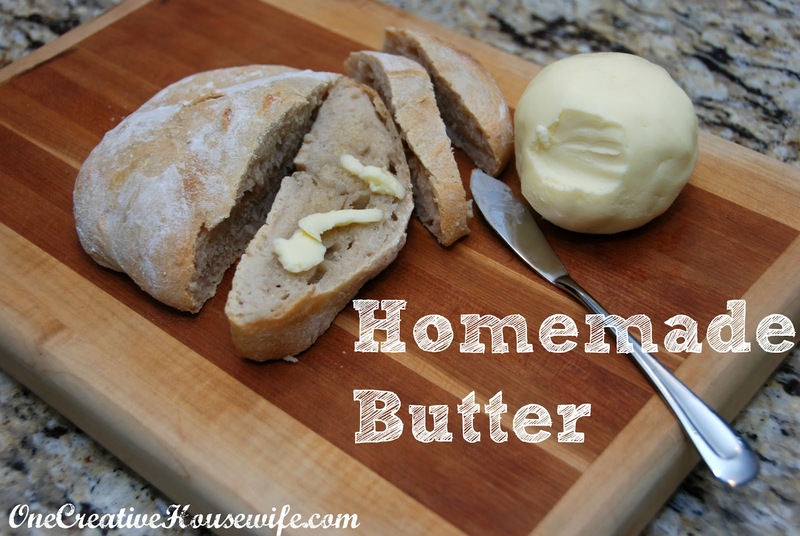 After seeing how easy it is to make your own butter and how good it tastes, it has become the perfect addition to our homemade bread. The recipe is from Unsophisticook. I doubled it to get the amount of butter shown (approximately 1 cup). *I used a stand mixer with a whisk attachment, but you can use a hand mixer. 1. 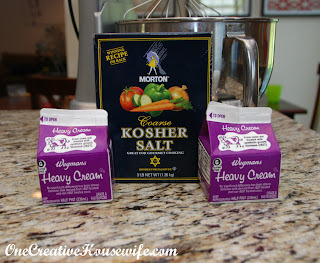 Add cream and salt to the mixing bowl. 2. 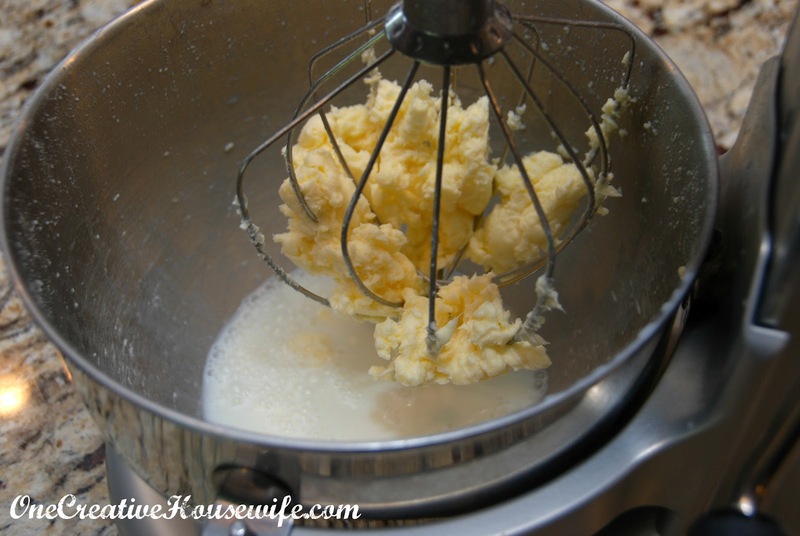 Using the whisk attachment whip on high until the cream separates into butter and buttermilk. This took about 10 minutes for me. Cover the bowl with a towel or splatter attachment, if you don't want splatter everywhere. 3. Remove the butter from the mixing bowl and place in a clean bowl. 4. Rinse the butter under cold water, until the water runs clear. You need to remove as much buttermilk as possible to keep your butter fresh longer. 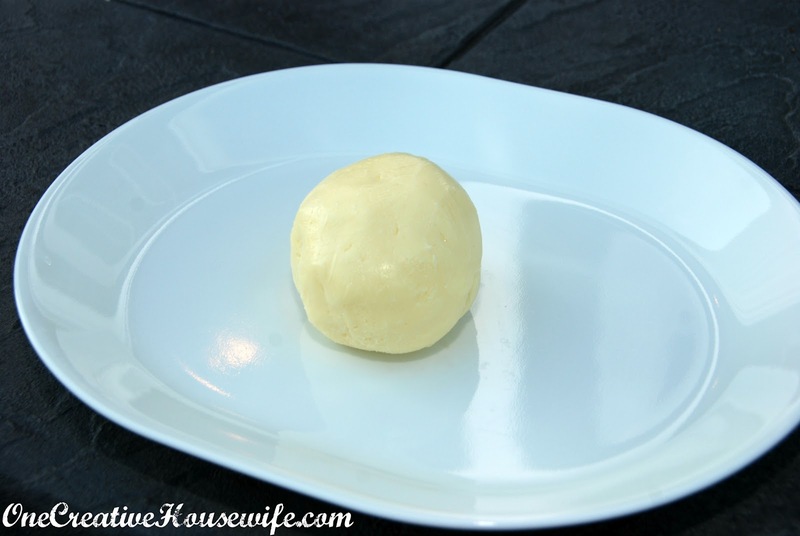 The butter keeps in your refrigerator for up to 2 weeks.